German tuner Lumma Design has given its perspective on the second generation Porsche Cayenne. 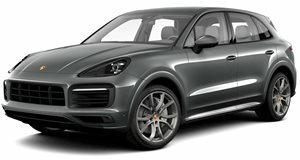 Their Cayenne CLR 558 GT will feature a new wide body aero kit that is comprised of a two-tone front bumper, high rising side skirts, loads of LED&apos;s, wheel arch extensions, carbon Kevlar hood with air vents, fog lights, smoked headlamps and tail lights. Other enhancements include a new roof, tail gate spoilers and a restyled rear bumper using a diffuser and three central mounted exhaust tail pipes. The enormous 22-inch alloy wheels round out the CLR 558 GT&apos;s exterior. The interior is fitted with leather floor mats, illuminated door sills and an aluminum pedal set. The only mechanical changes are a custom sports exhaust system and an electric lowering module that&apos;s only for models equipped with the air suspension system. No changes have been made under the hood. The tuner hasn&apos;t specified pricing or whether buyers need to purchase the entire kit or can opt for the individual add-ons.